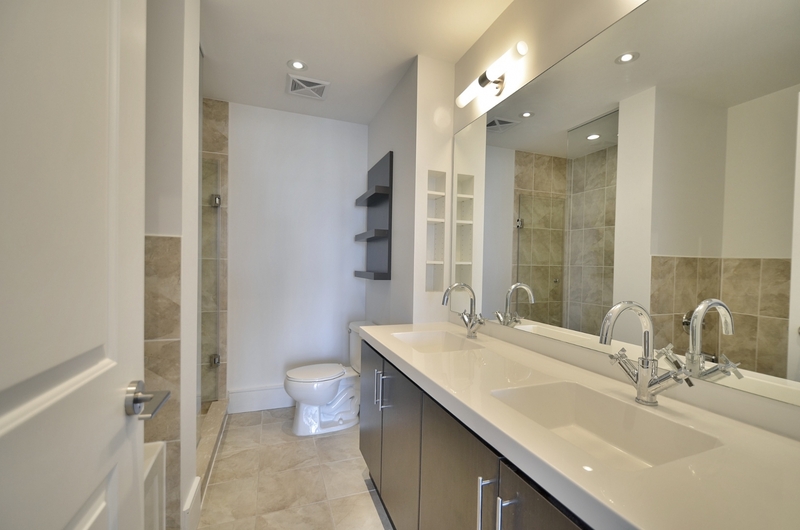 Bed: Two & Den • Bath: Two Full & One Half • 1,567 Sq.Ft. 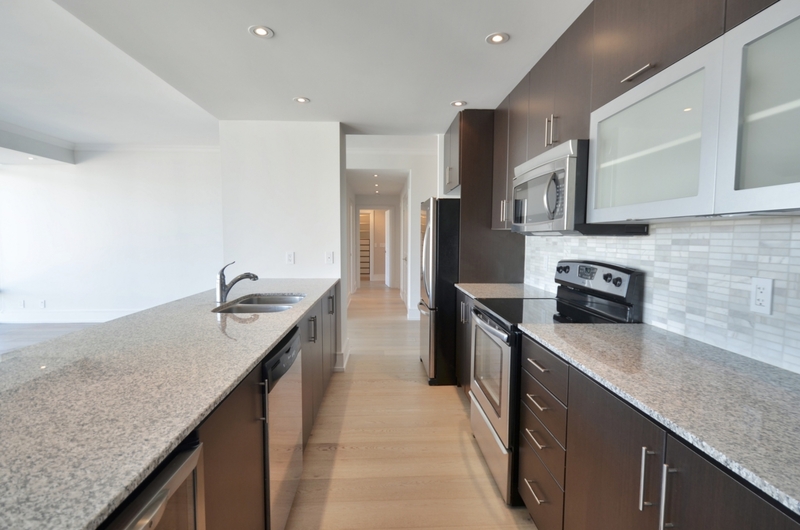 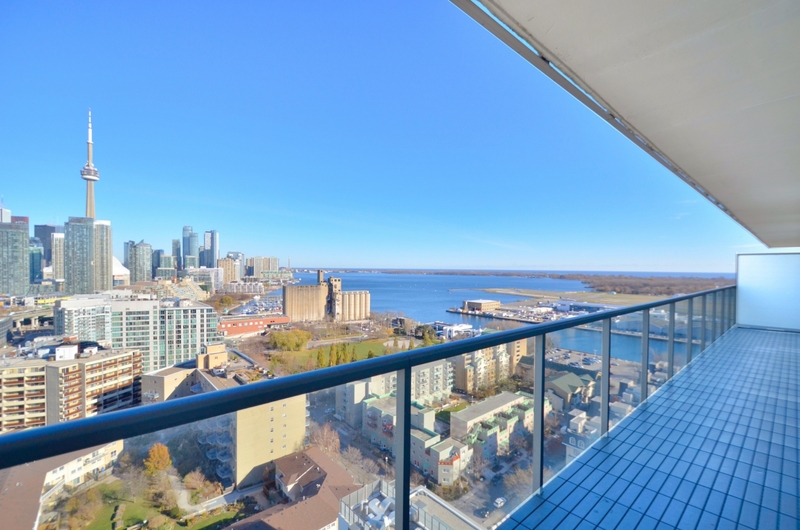 Enjoy the best of city and lakefront living in this stunning two-bedroom & den Penthouse suite at Quay West. 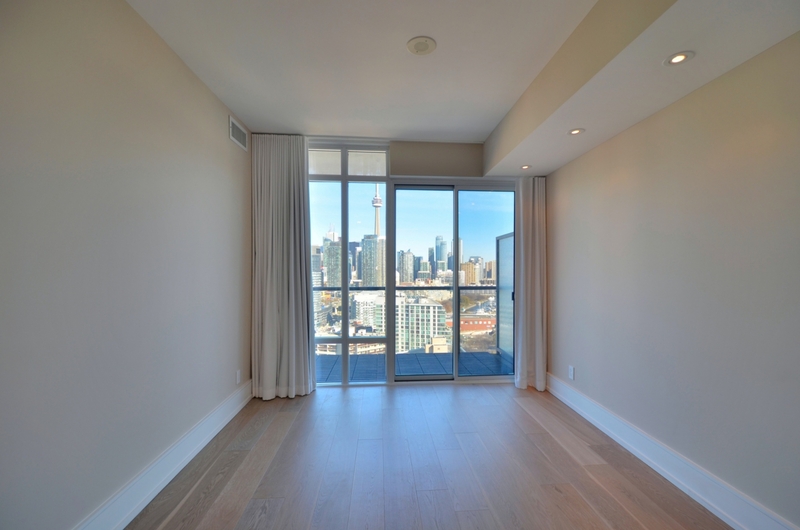 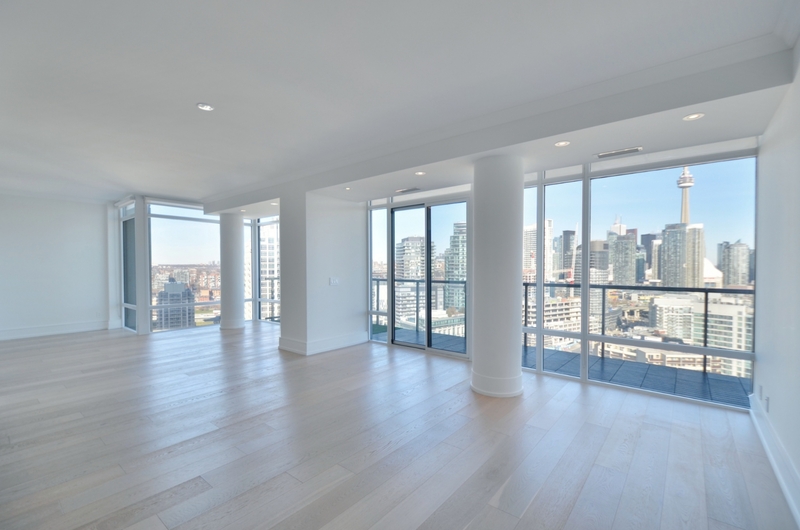 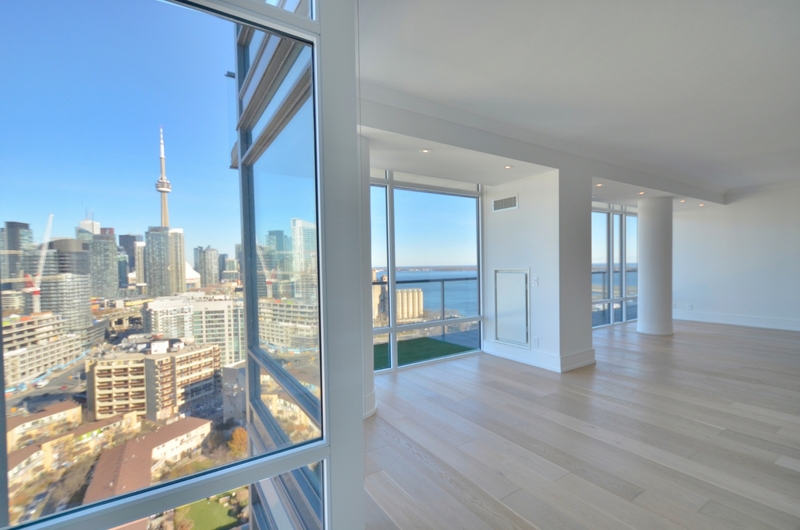 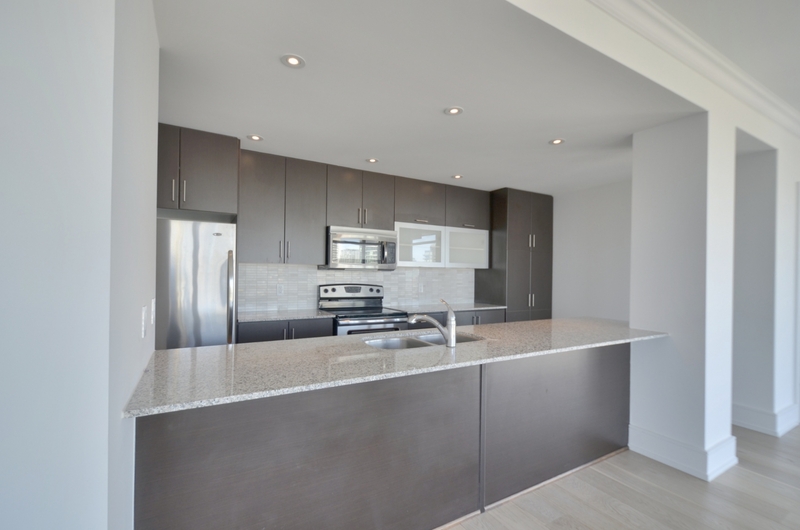 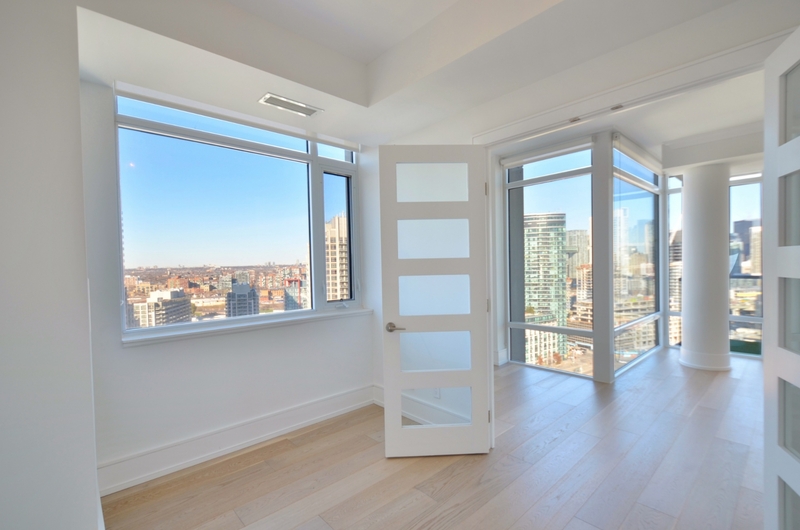 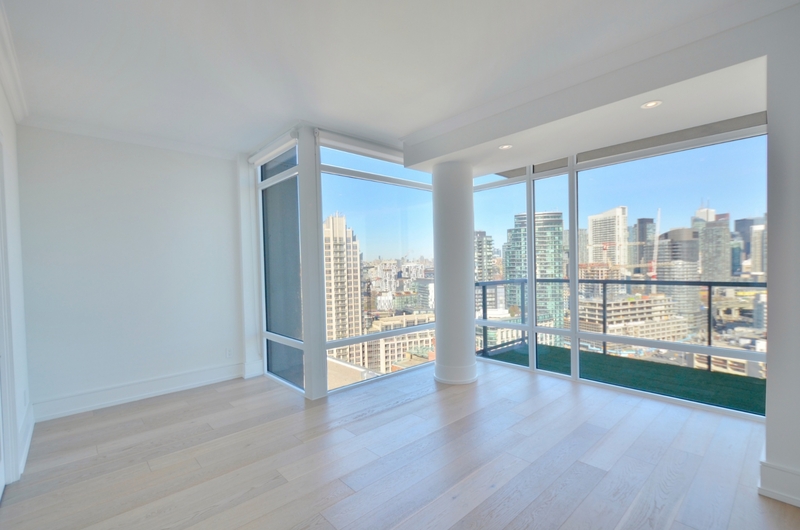 With nearly 1,600 square feet of living space, the suite offers breathtaking panoramic views of Lake Ontario, Toronto Island and the downtown skyline from every room and the 250+ square foot balcony. 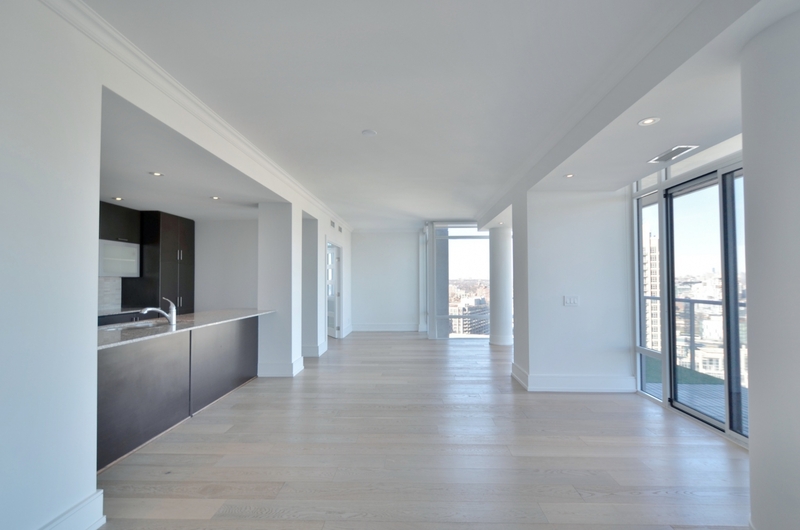 The open concept floor plan, nine-foot ceilings and full height windows provide an abundance of natural light in the suite. 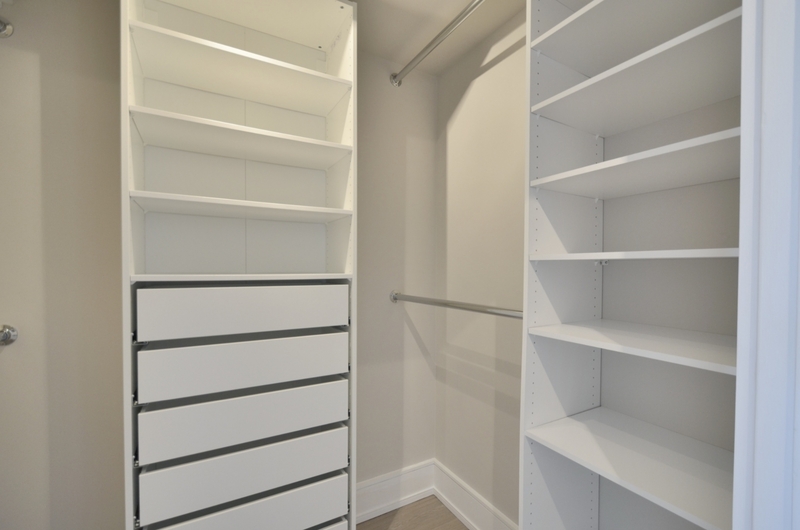 The Master Bedroom has been completed with a large walk-in closet with custom built-in cabinetry and a spacious five-piece ensuite washroom. 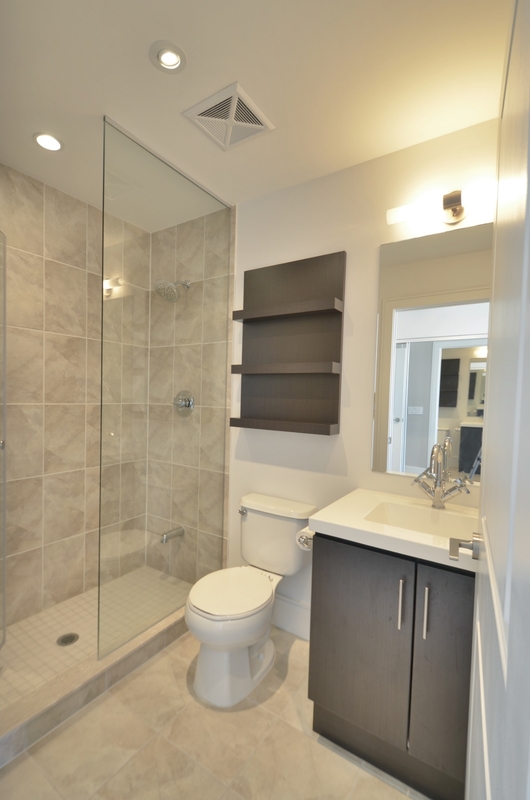 The second bedroom also offers ample closet space and a full ensuite washroom. 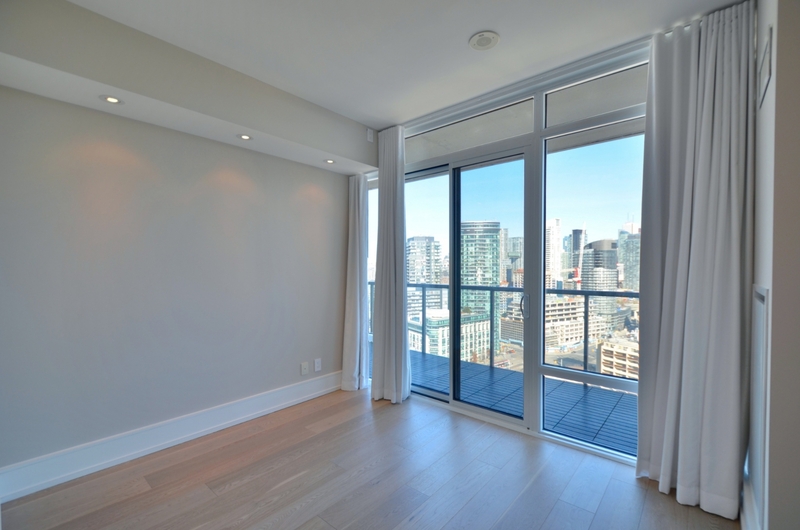 Off of the living area, the fully enclosed den is ideal for a quiet home office or third bedroom. 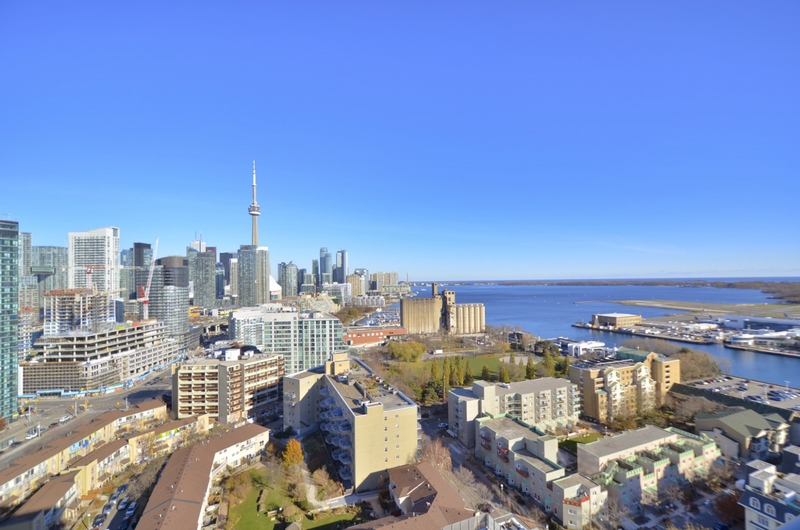 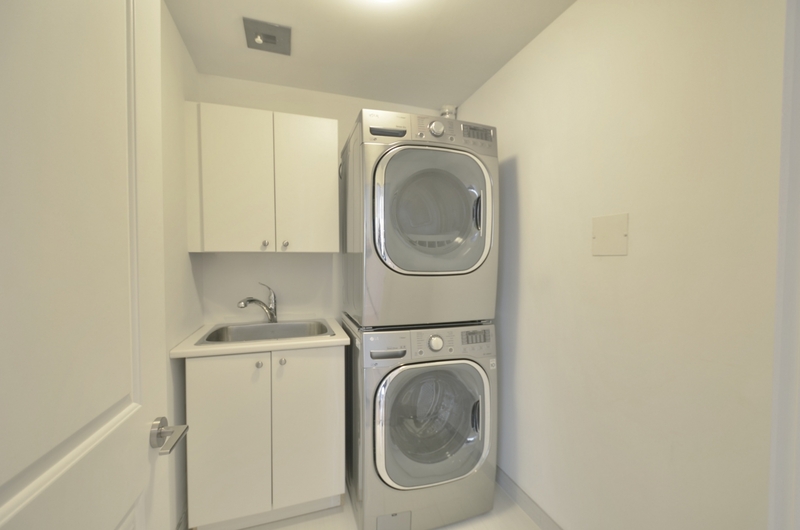 The building is ideally situated on the waterfront trail and allows convenient access to Billy Bishop Airport, the Financial District, Entertainment District, Liberty Village, Gardiner and TTC. 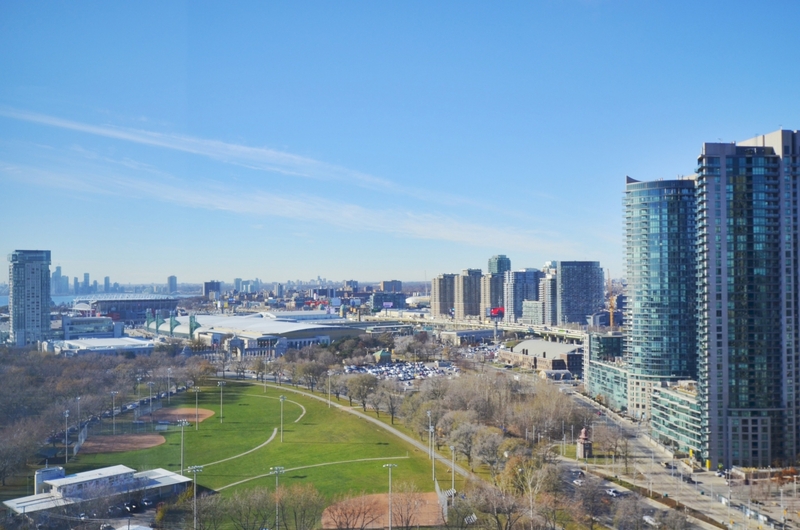 Quay West offers residents a fantastic array of amenities which include a full gym, indoor hot tub, party room, full-time security and visitor parking.